It was Adidas itself that motivated Stacey Burr to create wearables, long before the German apparel giant swooped for Textronics, her smart clothing business, and made Burr its VP of wearable sports electronics. After forming the company in 2005, the Textronics team saw a press release announcing that Adidas and Polar were to collaborate over heart rate sensing sports apparel. 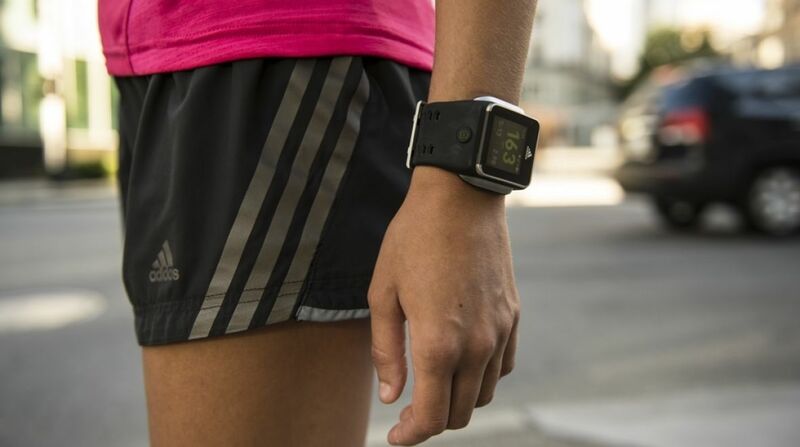 "Back in 2006, Adidas and Polar announced they would do some heart rate sensing apparel in the future. And we, as Textronics, thought 'we have some of those prototypes in the closet,' and while we couldn't be as big as Adidas, we could be first. "So we hustled. We set up a brand name and launched our new metrics line, and that's what put us on Adidas' radar screen," Burr explained. Burr is a self-proclaimed "technologist at heart" and when Adidas bought Textronics, she was placed in charge of the company's wearable output. Since 2008, Burr has been behind a dizzying array of products under the miCoach brand – and it's this diversity which Burr says is Adidas' biggest strength. "Our product line has been focused on expanding the knowledge base and experience across the widest platform of anyone out there in the digital sport field," she said. "They range from classic chest mounted HR to the wrist mounted optical HR wrist devices, the Speed Cell, X-Cell HR monitor and miCoach smart ball, where we've taken on inflatables, and of course the pro team system. "I'm sure we have the widest range and have demonstrated commercial viability of the broadest range of digital sport technology out there." Much of Adidas' recent output as been focused on the wrist, with its miCoach Fit Smart and miCoach Smart Run. Burr says the future of Adidas devices remains there, with a focus on more information and more analysis. "I think the trend we're seeing is a wider variety of sensors providing more data streams. It means focusing on taking that data and creating different experiences with it. "Consumers don't care what type of sensors is embedded in their wearables, but what they can learn from those sensors," she said. "It used to be about sensors – getting one up against the body and pulling off accurate data. We're past that stage. It's now about using the data to provide personalised insights to find surprising new data to help users learn about themselves." However, difficulties of wrist-based wearables have led many to claim that the wrist doesn't work for wearable devices. The CEO of AmpStrip recently told Wareable that "everyone knows the wrist is a bad place", citing accuracy issues, and even Liz Dickinson of Mio – which supplies the optical tech that powers miCoach – has been widely critical of the efforts from the Apple Watch and Fitbit Charge HR. However, while Burr admitted that optical sensors lacked the quality of top biometric, she told Wareable that the accuracy was "good enough" for most users. "It is true that chest-based EKG sensors provide more granularity however, the optical wrist-based heart rate sensor we use has been proven as accurate as chest strap solutions for running and cardio workouts and is ideal for heart rate zone training applications," she said. And she was bullish about Mio and Adidas' technology. "Not all wrist based heart sensors are created equal and it's important to remember that there are many on the market not suitable for performance scenarios," she added. With many analysts claiming that smart clothing will eclipse wrist worn devices by 2018, Stacey's experience at the helm of Textronics should prove invaluable. The company has already made strides to introducing smart clothing into professional sport, and Burr believes that a consumer trend isn't far away. "Connected clothing is absolutely the future," she said. "Smaller non-intrusive sensors, more efficient data processing and energy harvesting capabilities will all lead to making wearables a more intrinsic part of our lives."